In an effort to promote healthy living, healthy eating, and physical exercise, our friends and culinary giants Joan, Josep, and Jordi Roca joined forces with us last week, in Barcelona, to launch Luis y el Sr. Kandinsky. Luis y el Sr. Kandinsky is an endearing piece of children’s literature that reminds us all about the importance of living a healthy lifestyle. With this project, we want to encourage families to spend time at home cooking creative and healthy meals together, in addition to, time spent outdoors running, jumping, and playing as a family. Each book concludes with several recommendations for fun physical activity and nutritious meal-planning. 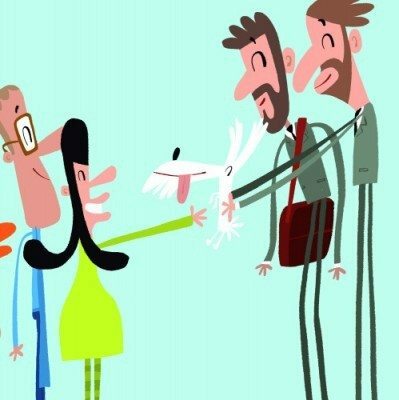 And as added bonus, keep a close eye out as you read each page: the Gasol and Roca Brothers will be making their illustrative debut as supporting characters in the book! 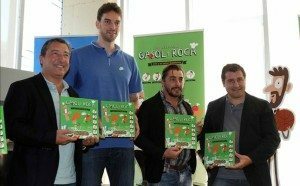 EDEBE Publishing will be donating 10% of book profits to Gasol Foundation in support of Spain-based outreach and enrichment programming. Luis y el Sr. Kandinsky is available in Spanish and Catalan and can be purchased for 10 € throughout Spain, as well as via the internet at: TIENDA EDEBÉ . This book is also available in e-book format.